Aniashu a Khiamniungan village is located 65 kms south east of Noklak at an altitude of 1137 with coordinates N26º 07.551’ E095º 04.695’. The village got road connectivity only recently in 2013. 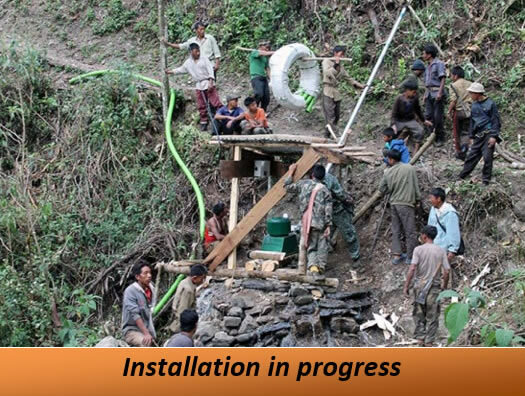 A 3Kw hydroger was installed in the first week of April 2014 by the team with active support from the villagers. 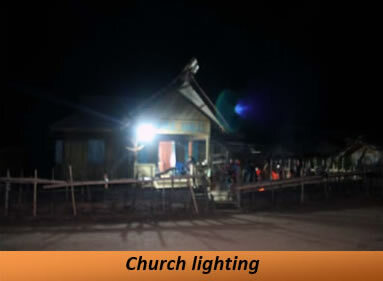 After providing light to the village, it was seen that the children find it very convenient to study at night, while the grownups especially the women are enjoying the experience of engaging in more productive activities due to presence of sufficient lighting throughout the night while men folks have more hours to put into improving their handicrafts and blacksmith works. A NEPeD Energy Committee was setup with two women representative as part of the mission policy to uplift and empower women in the decision making. The community had also appointed two youths from the Committee for operation & maintenance with a salary of Rs. 750/- each, from the revenue collected. 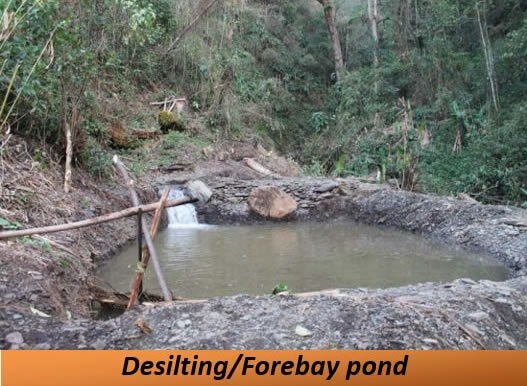 The communities are now aware of the importance of forest conservation for sustainability of the hydropower which will surely have impact for the future generation.